The trio hails from diverse musical backgrounds, races and creeds. Female powerhouse Nikki Glaspie was Beyonce’s world-touring drummer for five years before she joined Ivan Nevilles New Orleans funk outfit, Dumpstaphunk. Bassist Nate Edgar of Groovechild and John Browns Body perfectly compliments singer and guitarist Nick Cassarino who came from the Jennifer Hartswick Band and toured with Big Daddy Kane. 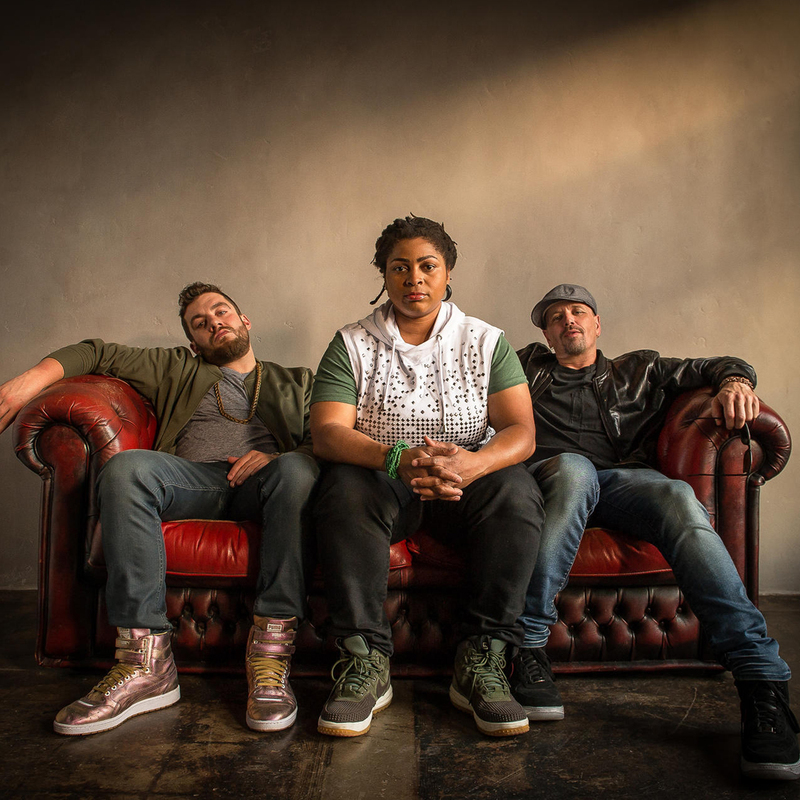 The Nth Power’s 2013 independent EP, Basic Minimum Skills Test, showcases a first glimpse of the spark shared among the group, delivering gospel-style vocals with soul, jazz, funk and world-beat riffs in nearly mathematical fashion. They have followed up that release with a studio album in 2015 “Abundance” produced by Ira Schickman and live release “To Be Free” in 2016 recorded and mixed by Paul Diaz. “It’s my dream team,” said Glaspie, “each one of us is a songwriter, so when we get together, everything becomes that much stronger.” Beyond raw skill, however, Glaspie cites a deep spiritual connection as the glue that binds them together. “Music is what brought us together, but its the spiritual bond that makes us play so in touch with each other,” she explained. And at the core of their vibe is a deviously simple concept the healing power of love. The Nth Power’s inspirational sets have floored audiences at music festivals like Electric Forest, Bear Creek, Catskill Chill and North Coast Music Festival. The band has been relentlessly touring and writing for the past 4 years since their inception and continue to grow in their mission as they spread love and healing through music across the land. Although the band members are based across the East Coast, they maintain New Orleans as their spiritual home, and the celebratory essence of that city’s music culture is audible in each performance. Together, The Nth Power wants to change lives through a message of musical love and understanding. Special Guest Blaise Mercedes will open the show!